Also serving communities of Crawfordsville. The average cost of memory care in Lebanon is $4,590 per month. This is lower than the national median of $4,650. Cheaper nearby regions include Noblesville with an average starting cost of $4,220. Caring.com has helped thousands of families find high-quality senior care. To speak with one of our Family Advisors about memory care options and costs in Lebanon, call (855) 863-8283. The city of Lebanon has a large senior community that makes up nearly 16 percent of the population of 16,000 residents. The city is located in Boone County, where just over 10 percent of Medicare beneficiaries aged 65 and over have Alzheimer's disease or dementia. While Lebanon does not have any memory care facilities, there are more than a dozen located nearby. Memory care services in the Lebanon region are provided in dementia special care units, which may either be located in assisted living facilities or in their own dedicated building that accommodates only those with dementia. 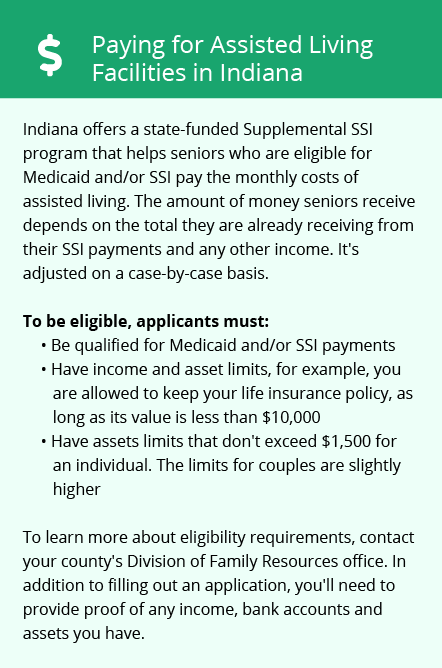 Indiana seniors pay state income tax on all types of retirement income except Social Security benefits. This may be a consideration for families who are helping their senior loved ones relocate to a memory care facility in Lebanon from outside of the state. Boone County, where Lebanon is located, was given a C for ozone pollution from the American Lung Association. This type of pollution may exacerbate conditions like COPD and asthma, which may be a concern for some families researching memory care in this region. While Lebanon's cost of living, including healthcare expenses like hospital stays and doctor's visits, is slightly higher than the statewide median, it is about 10 percent lower than the national average. This may make the city a good option for families and seniors with restrictive memory care budgets. Lebanon's summers are warm with highs in the mid-80s, and winters are chilly with lows in the teens. The city only gets about 18 inches of annual snowfall, which is several inches less than the national average, which may make seasonal travel easier on families visiting loved ones who reside in local memory care facilities. Memory Care costs in Lebanon start around $4,590 per month on average, while the nationwide average cost of memory care is $4,799 per month. It’s important to note that memory care rates in Lebanon and the surrounding suburbs can vary widely based on factors such as location, the level of care needed, apartment size and the types of amenities offered at each community. To see a list of free memory care resources in Lebanon, please visit our Assisted Living in Indiana page. 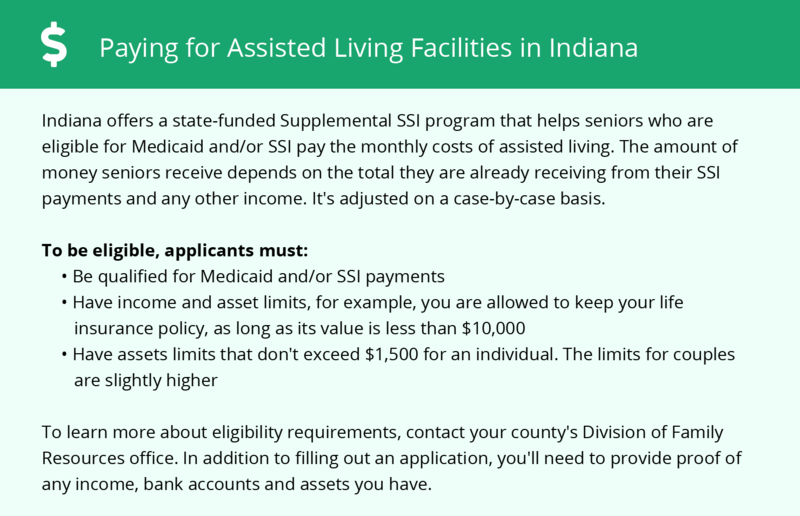 Lebanon-area assisted living communities must adhere to the comprehensive set of state laws and regulations that all assisted living communities in Indiana are required to follow. Visit our Memory Care in Indiana page for more information about these laws.